Nutrition education that help you get healthy and stay healthy. Our registered dietitians and nutritionists work with our clients to design nutrition plans that maximize their fitness results while encouraging a healthy balance of nutrients that boosts energy levels and aids in meeting weight goals. We work to educate each client on their body’s nutrition needs so that they can make better choices and build long term habits that can last a lifetime. This isn’t a diet it’s a lifestyle! Whether you are an elite athlete, weekend warrior, or just looking to be healthier and lose a few pounds, Live Fit Nutrition Services can help. Learn about the most current, evidence based methods to fuel your body, lose weight, boost performance, and make you healthier and add balance to your busy life. 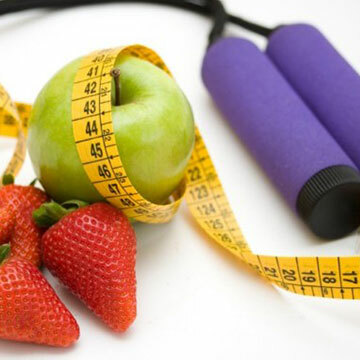 All sessions are with a licensed and experienced registered dietitian. At LiveFit we work with clients from Westlake, Avon, North Olmstead, Rocky River, Parma, North Ridgeville, Middleburg Heights. Cleveland and surrounding areas. Start making a change today! Now is the time to begin to take better care of our self and Live Fit can show you how. Take the first step to a healthier, happier and stronger you! Do you have questions or concerns? At Live Fit we are always available to get you the information that you need start on the road to a healthier and happier lifestyle.